Achieves superior control by combining a wrist support with a top quality bowling glove. With supple, top grade leather and super-grip fabric on fingers and palm, this glove is exactly what you need for a luxury and support. Comfortable, stretch spandex back provides flexibility and breathability, and it's easy adjustable pro-style closure and finger gussets ensure a superior fit. Achieves superior control by combining a wrist support with a top quality bowling glove. Supple, top grade leather with super-grip fabric on fingers and palm. Comfortable, stretch spandex back provides flexibility and breathability. Easy adjustable pro-style closure and finger gussets ensure a superior fit. By Babs from Metairie La. By JJ from Pensacola, Fl. Use this glove 5 times a week. Comfortable and good wrist support. However quality is very poor. After one week of bowling the stitching was coming apart and material was wearing off the finger pads so tackiness was gone. 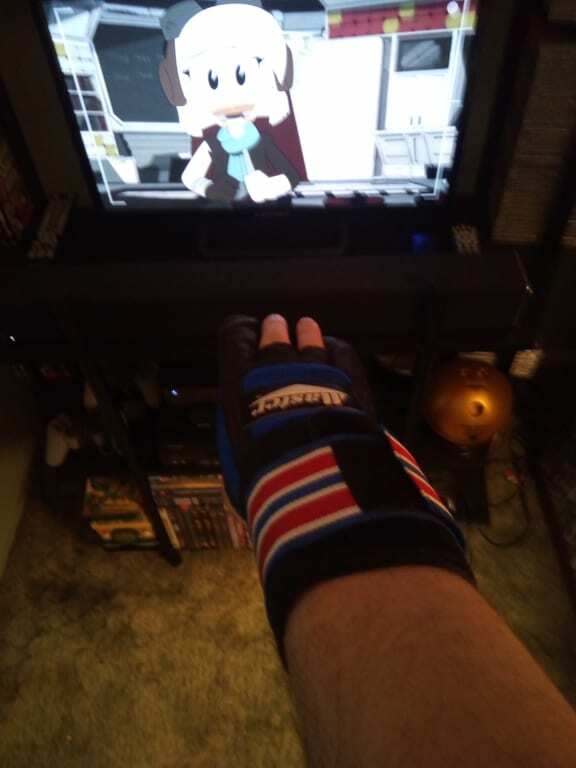 I have owned two of these gloves, love the support , only problem the outer fingers need to be made stronger they wear out too quick. Looking to purchase another one now, checking price on line as opposed to my pro shop. Yes, it will close with Velcro. This glove will have metal supports in it for ultimate wrist support. This glove will come in sizes Small-XL. There will be super-grip fabric on fingers and palm. Due to the time it takes to produce the Master Deluxe Wrist Glove - Right Hand ball it will ship in immediately. We cannot ship this ball outside the United States.